I’ve been plodding away at the beta over the last few couple of days. I’m hoping to initiate the switch over next week. People running servers should make themselves familiar with this page.. because once we switch over this will be the only way to update and run dedicated servers. The Linux version has progressed. I am able to get to the menu now – but it quits when I try to join a game. That might be because I’m running it in a virtual machine though – let me know if you’re having more luck. The rift support (apparently) doesn’t work at all. I think I need to compile my own rift head tracking dll – because the one Valve provide is (apparently) crashing. They haven’t given me access to the head tracking code – so I don’t know what’s happening there. It’s been a lot of fun pushing updates out via Steam Pipe. It means I can say to people “hang on – try now” – and they try and stuff is fixed. Instead of “try after the next update in 2 weeks”. Just keep on with that rift. It was made for gmod. You can nab the Rift SDK code over at the Oculus Developer Center (https://developer.oculusvr.com). I guess building your own head tracking DLL would allow you to expose the sensor data directly to Lua. That’d be pretty neat. I’m getting a disk write error on the latest gmod beta on Linux. Are you also trying to use Arch? Nope I’m using ubuntu 13.04. Okay, I deleted local content and downloaded it anew. It works now, so I’m assuming there was some odd permissions set in previous builds, preventing some files from being written. Yes I would also like a addon quick list where only the title is shown. the process isn’t that bad now but a toggle to this type of addon list would be nice. Also I was exited for the steam pipe transitions steam pipe but last time i looked there wasn’t a wiki page about mounting other games on a dedicated server that i updated to steampipe. Try updating your mesa to 9.2! I get a “could not load client library (unknown error)” on the loading screen. Got past the main menu issue by verifying game cache. copy content of the folder “VGUI” to “vgui”. With latest beta it works! Workshop/Singleplayer/STools and etc. Some props are missing, ans some renders are wrong but it works. Also some props are missing I guess. Garry, you can have my internet-hug. I really like what you did there. On linux was able to launch, use the menu & start a game. Initial did this with a bin folder which had ‘fixes’ for the old beta. But have verified I can run it with a clean bin folder. All text except that rendered by awesomium is very small. Running in windowed mode and alt-tabbing did not crash the game. If it helps I have a console log. I have a feeling it might be a permissions issues, so I’m just deleting local content and redownloading. As others have said, gmod works mostly now. There’s some sprite rendering issues. The loading bar in the beginning goes past its terminus. I’m using ubuntu 13.04 with the latest stable AMD catalyst drivers. You can fix some errors by copying the contents of the folder “VGUI” to “vgui”. That’s all. I have the same problem, I get as far as the facepunch logo and it says: “initialize all game systems”. have you found a way to fix it yet? I’ve tried making it windowed with a resolution smaller than the native one, didn’t really do anything. I also tried verifying game cache, didn’t really affect it either. If you haven’t tried these yet, it wouldn’t hurt to do so yourself. I’m not so sure a change of desktop environment would really do much. A change of graphics drivers possibly? I don’t seem to have the -development option under the betas tab? Is there any way to fix this? You need to enter the secret phrase, which is ________ , in the box under the betas. Garry: Excellent work on GMOD Linux. I’m able to get to the menu, load maps and do everything I normally can. I can’t yet mount other games (I assume that’s deliberate though) and there are a few missing textures here and there (when I hover over items in the spawn menu and a few trees in the gm_construct skybox), but otherwise, it’s brilliant! By the way, I loved your comments on the mechanics of urination, very enlightening. So I found the same as James above. On Ubuntu 12.04 64-bit, trying to run Garry’s Mod I’d get an error reading “Could not load client (Unknown Error)”. But after installing the Ubuntu package ‘ia32-libs’ (which pulls in 32-bit versions of certain libraries on a 64-bit system) I could run Garry’s Mod. Interestingly I could run all the other Source-based games available for Linux so far without that package; so I wonder whether or not the Valve Source games have 64-bit builds and GMod currently does not. Thank you, adding the ia32-libs package fixed it for me. what hardware are you running everything on, also what video drivers? My problem seems to be a little different than yours I’m afraid. Thats weird, I already thought so. But I only see the game “Garry’s mod – Beta” on my Linux Steamclient (not the normal “Garry’s Mod”, even after restarting etc.). All other source games work fine :(. ok, i thought that the game would automatically appear on my linux games list (even if I was not opted in). However the game works now. Filesystem addons work (like wiremod), and workshop addons work. But if I select amount of player on the menu point start game (instead of singleplayer), then the game freezes. Ican get it running with minimal problems on gentoo amd64 the ony real issues I see are with textures and sound missing from addons downloaded inside of garrysmod. there are some missing models in the weapons section the ai works I had combine fighting the civilians and father grigori. really need to add an edit feature so Ican change my bad grammer. I know its a mounting issue related to both the switch to steampipe and the way linux handels file names an paths compared to windows. I continue to get the “Could not load library client” error. I’m running Arch Linux (x86_64). I see most people get it running with the ia32-libs, but Arch has no such thing. 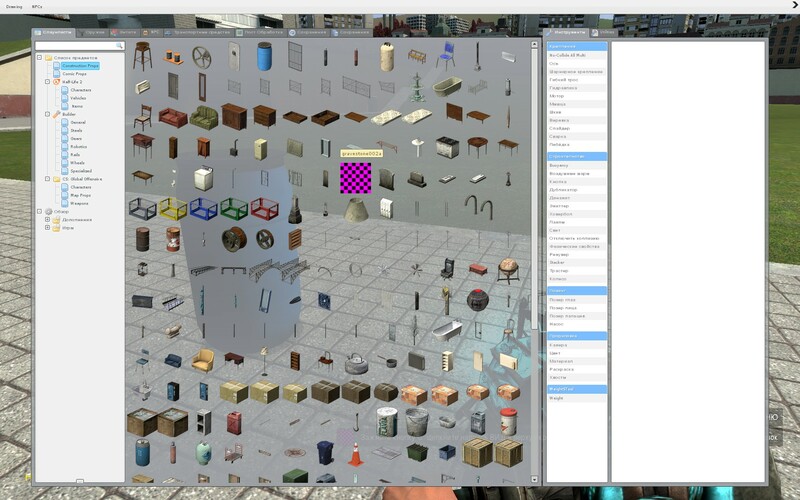 I’m wondering what exactly Garry’s Mod relies on, so I can install each of them individually. I’d rather solve a problem to convenience myself and any other that likely have the same issue than use a workaround that would likely be unnecessary in the near future anyways. Agreed. I’m one of the others you speak of. You need to install lib32-gconf from the AUR (or at least that fixed this issue for me). It does have many dependencies, so installation will take a while. Thank you very much, this worked perfectly. I wonder if it was that exactly or one (or more) of it’s pre-requisites. Regardless, it works and I’m glad. GMod runs, but the mouse does not work in the game and I can’t mount other games. Any chances for getting kinect working on linux? it works on my debian7 amd64! thank you so much garry! i just needed to install ia32-libs-gtk. I’ve got a few images of bugs so far. I fixed the missing libs but the crashes on the loading screen now. (Mac) Game crashes when I get to the title screen. Using Ubuntu 13.04. For some reason, I got an error, failing to load library client. After I went offline, it began to work, and now works online. Can’t very well test multiplayer, since the Legacy Browser doesn’t like me and I don’t think anyone runs Beta build servers. Only thing that seems broken so far is that hint icons and a few item spawn icons are the odd purple/black squares, but addons seem to work very well. Something odd is that my PS3 controller acts as an XBox 360 controller: Keybindings get bound to A,B,X,Y, LB, RB, LT, RT, rather than Cross, Circle, Triangle, Square, R1, R2, L1, L2. Functions perfectly, but still seems odd. Agh… was going back to play, stupidly of me I thought that reinstalling the whole thing would work. Anyone got any advise? I cannot seem to mount my source games into Garry’s Mod even if I own the game. Is this a problem with Steam Pipe? The game crashes for me just at the blue loading screen right after I start the game. I’m on ubuntu 12.04 with the xorg-edgers PPA. CS:S and Half-Life Deathmatch work fine. how do i get the gmod9?